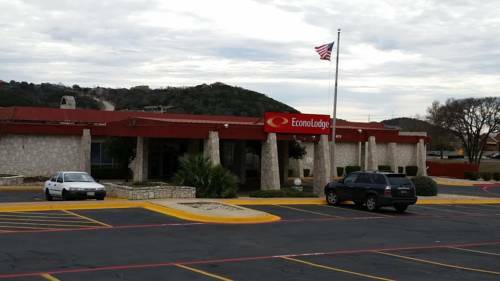 Travel simply and enjoy an easy stop on the road at the pet-friendly Econo Lodge hotel in Kerrville, TX. We are near Schreiner University, Louise Hays Park, Comanche Trace Golf Course, VA Hospital, Museum of Western Art, Enchanted Rock, and the Kerr Arts and Cultural Center. Amenities include free WiFi, free ample parking, free Easy Starts continental breakfast and guest laundry facilities. Guest rooms feature a refrigerator, microwave, HDTV and convenient outlets in every nightstand. Also, earn rewards including free nights and gift cards with our Choice Privileges Rewards program. Limit of 2 40-lb. pets/room, USD10/pet/night.